This amazing sunroom was designed as part of a home renovation project that included a kitchen design, pantry, mudroom, laundry room, and home office remodel. This living area is designed as a space for relaxation, music, entertainment, and much more. 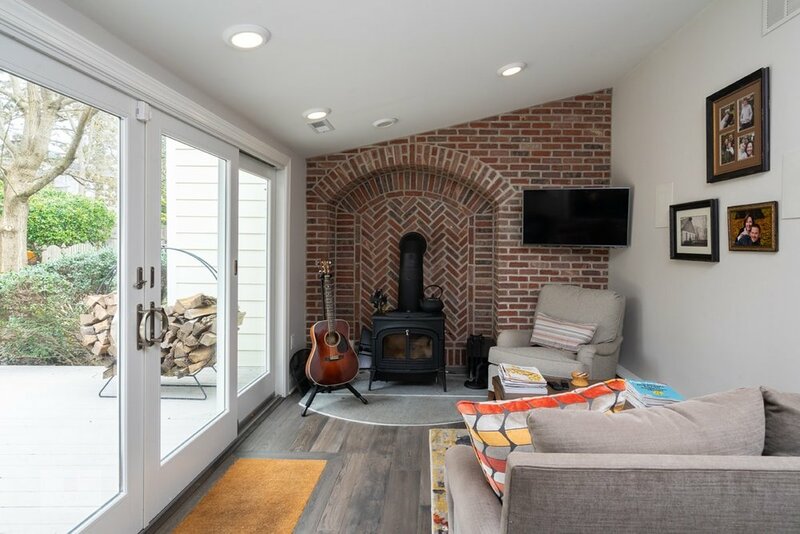 The remodeling of this room included installing a 12 foot sliding Andersen door, a brick wall fireplace surround, and a Vermont Casting wood burning stove. Tesoro hardwood floors in a gray finish give this space a warm, sophisticated appeal.